This Friday evening, June 6, come see the opening reception and presentation for 5 INTO 1: Philadelphia Sculptors’ 15th Annual Student Exhibition, at The Galleries at Moore. The show includes two Moore recent graduates, and is curated in part by a Moore alum! Hosted annually by Moore and organized by Philadelphia Sculptors, 5 Into 1 features work by recent graduates from BFA and MFA programs at five Philadelphia art & design schools. Participating artists from the following schools include, Moore College of Art & Design: Lucy Heurich, Veronica Perez ; Pennsylvania Academy of the Fine Arts: Eric Clark, Matthew Herzog; Tyler School of Art: Larkin Dugan, Theresa Sterner; University of Pennsylvania: Anthony Bowers, Theo Mullen; and The University of the Arts: Ryan Berardi, Ashley Carrega. This year’s exhibition is curated by former 5 Into 1 exhibiting artists Aimee Gilmore and Sarah Peoples. Join us this Thursday and Friday for extended hours at Connelly Library! 8 AM till 12:00 AM May 8th and 9th. Work on your papers or final projects. Coffee and treats will be provided. We look forward to seeing you all there! Sarah Peter Turns 211 & You’re Invited to Her Party! 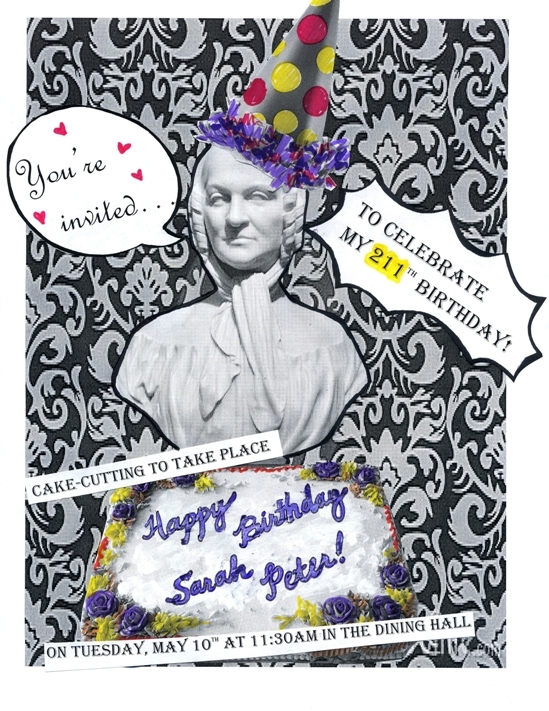 You’re invited to celebrate Sarah Peter’s 211th Birthday! A cake-cutting will take place on Tuesday, May 10th at 11:30 am in the Dining Hall. Don’t miss it! Join us for an illustrated talk about Moore’s most famous alumna! Phoebe Hoban will read from and discuss her new biography of Alice Neel. Alice Neel: The Art of Not Sitting Pretty was named one of the ten best books of 2010 by the Village Voice, included in O Magazine‘s 15 books to watch for in 2011, and selected as an Editors’ Choice in the New York Times Sunday Book Review in January 2011. The lecture will be followed by a reception and book signing. 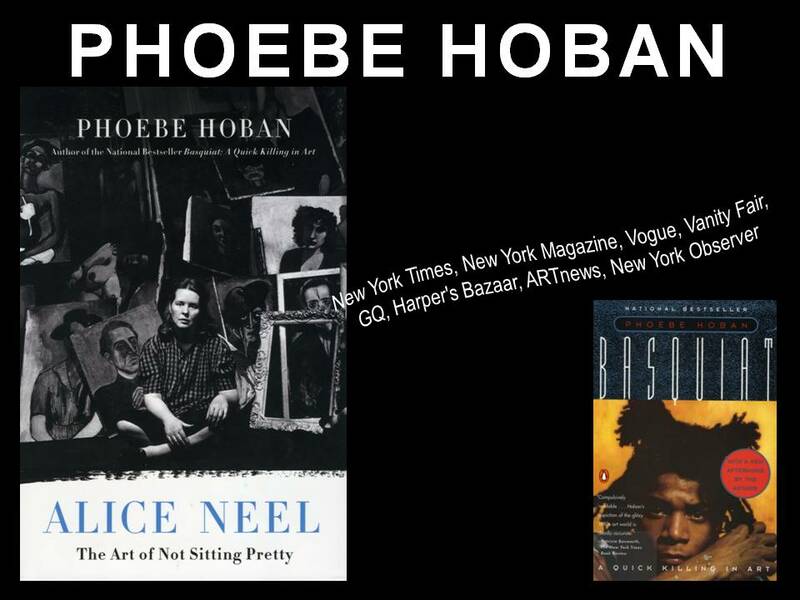 Phoebe Hoban is the bestselling author of Basquiat: A Quick Killing in Art. 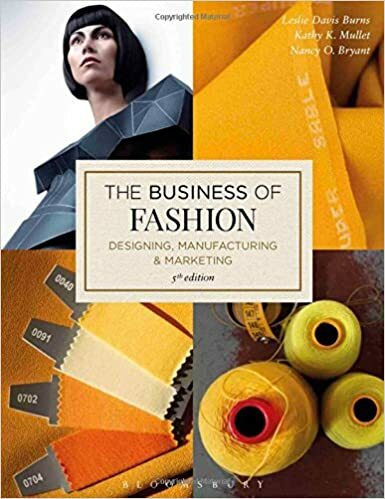 She has written about culture and the arts for Vogue, Vanity Fair, GQ, Harper’s Bazaar, New York Magazine, The New York Times, and multiple other publications. She lives in New York City. Hoban’s aunt is a Moore graduate. Mark your calendar for Tuesday, March 22nd at 5:30 pm, in Stewart Auditorium. This event is FREE and open to the public! National Constitution Day is today, September 17th! Signed into law in 2007, Constitution Day commemorates the formation and signing of the U.S. Constitution. Celebrate by reading up on the signers of the Constitution at the National Archives website. 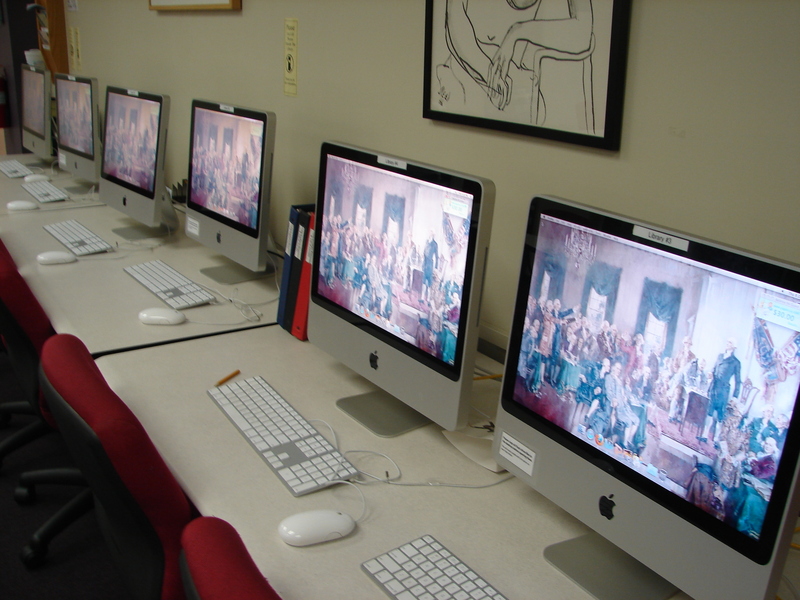 Library Computers Celebrating Constitution Day! Performance artist Karen Finley will be speaking about her work at Moore as part of the Studio Art Graduate Program Lecture Series. This exciting event will take place on April 21st from 6:30-7:30pm in Stewart Auditorium. 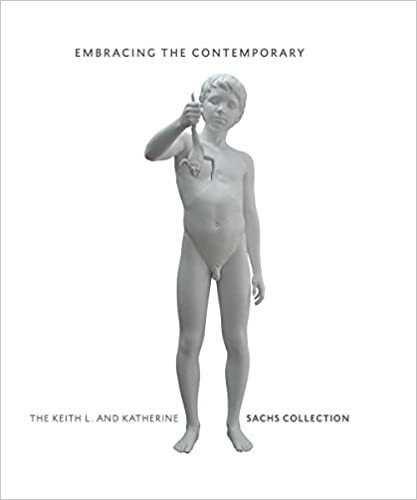 Karen Finley’s work spans a number of mediums, such as performances, books, and recordings, and is often considered controversial due to its graphic depictions of sexuality, abuse and disenfranchisement. Finley was one of the four artists whose grants from the NEA were vetoed in 1990, a dispute which brought art to the forefront of American politics. 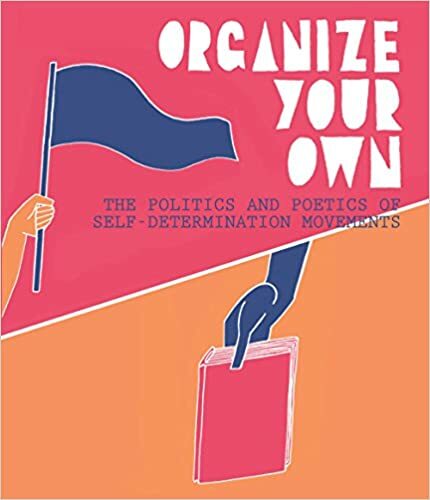 For more of Karen Finley’s work, the library owns several of her books and videos. You’re sure to have a strong opinion about this provocative artist one way or the other! Welcome back from Spring Break! An exciting event is taking place this Wednesday. 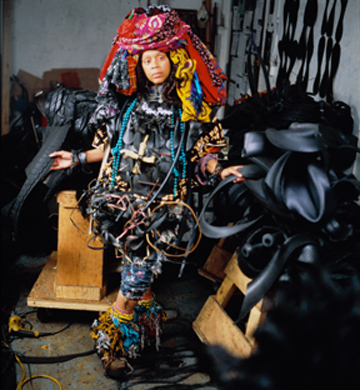 As part of the Studio Art Graduate Program’s Lecture Series, distinguished artist Chakaia Booker will discuss her work and her current medium of rubber tires. You may know Booker from her sculptures that were installed last year in Aviator Park across from Moore. Booker, who frequently addresses social concerns and issues of identity, has work included in the permanent collections of the Metropolitan Museum of Art and the Akron Museum of Art. The lecture will take place in Stewart Auditorium from 6:00-7:30 pm. Don’t miss what’s sure to be an inspiring talk! Welcome back everyone! We hope you had a restful and enjoyable winter break. What was Basquiat’s tag on his early work? Be the first to answer this question and win a copy of the One Film One Philadelphia selection, Basquiat.